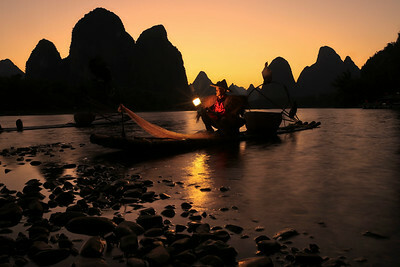 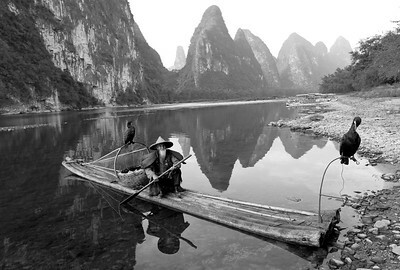 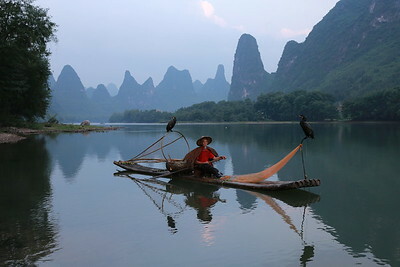 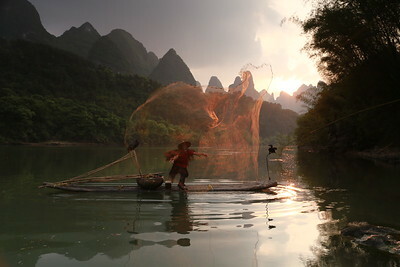 An old fisherman sitting down the bamboo raft on the calm Li river,Ready for fishing. 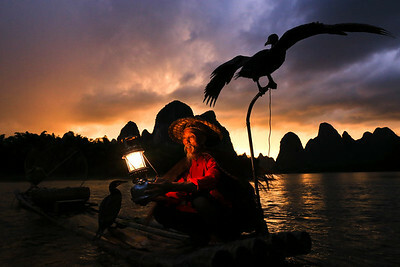 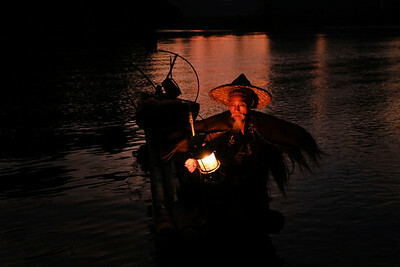 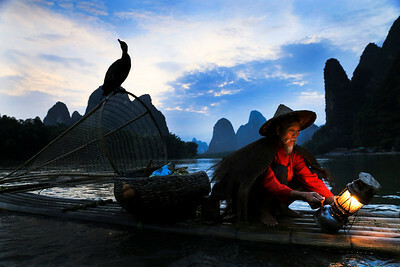 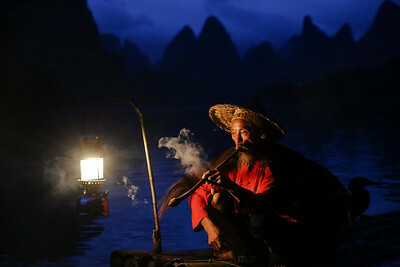 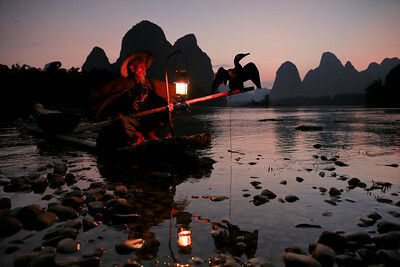 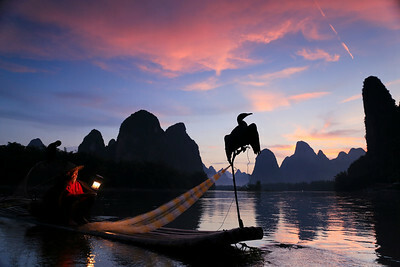 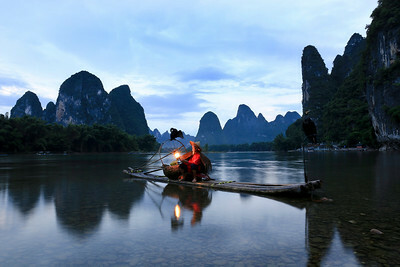 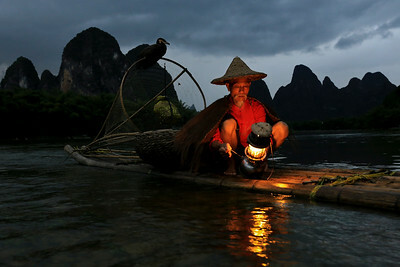 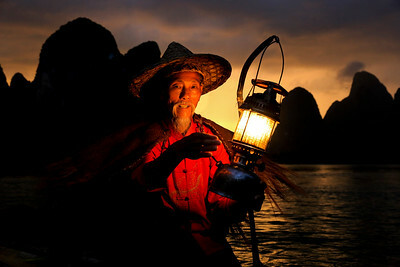 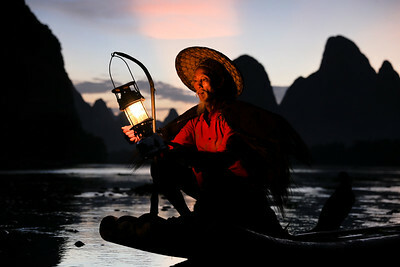 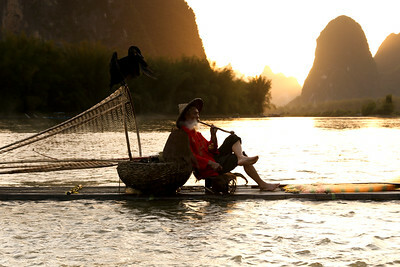 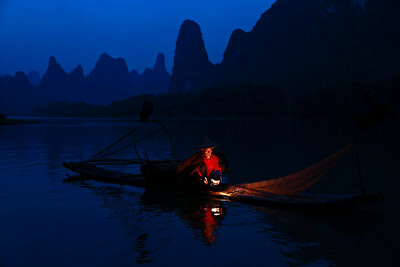 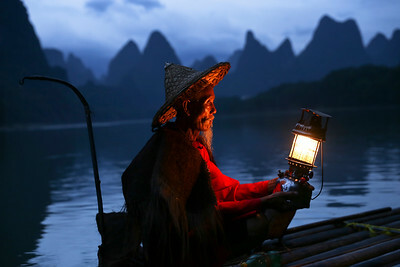 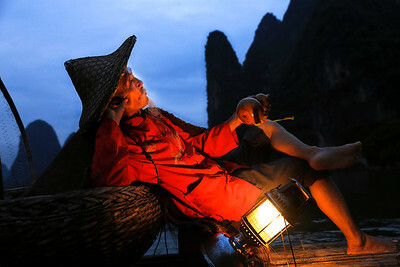 an old cormorant fisherman holding the gas lamp by sitting on the bamboo raft by the riverside at nightfall. 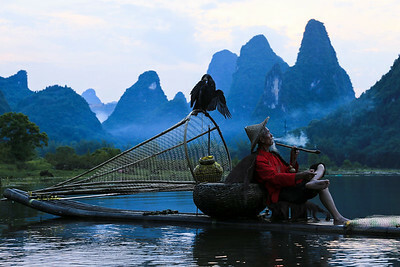 an old fisherman sitting on the bamboo raft for a short break.